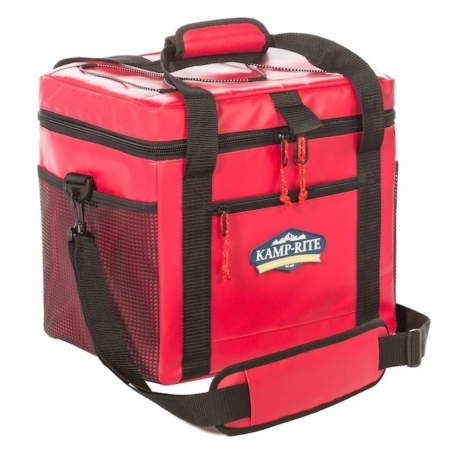 The Kamp-Rite® Kwik Pantry with Cook Table facilitates campsite food prep and cooking. Easy to set up, the convenient Kwik Pantry with Cook Table provides space for cooking, as well as storage for food and utensils, all in one compact unit. 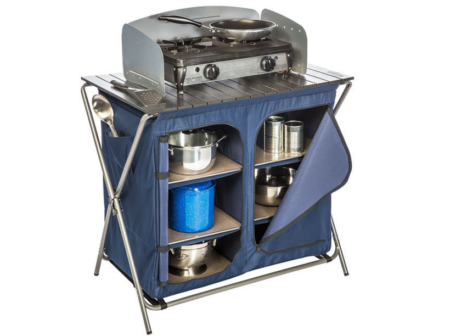 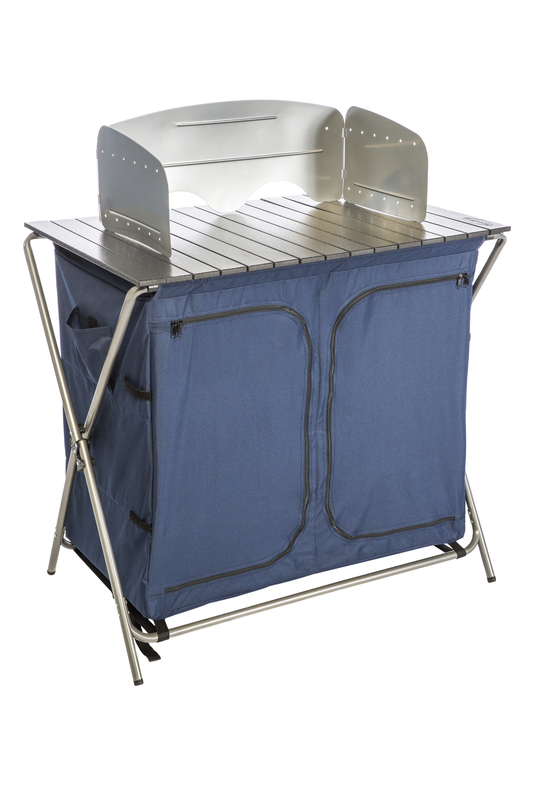 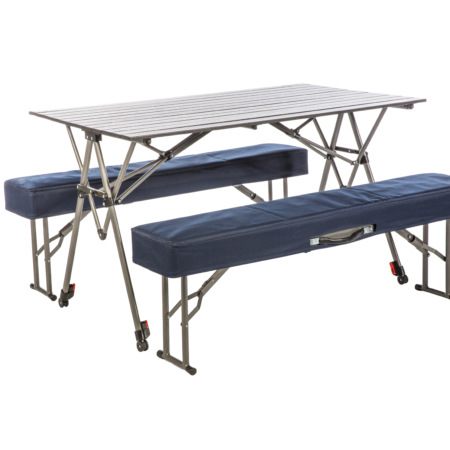 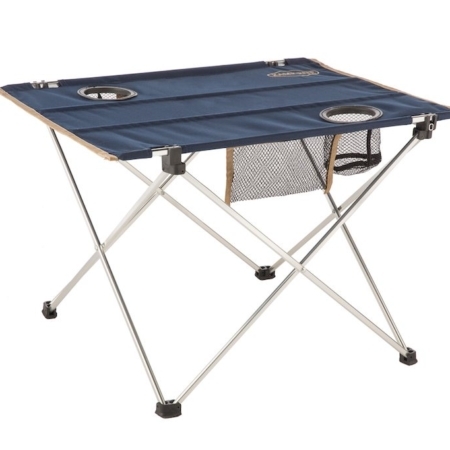 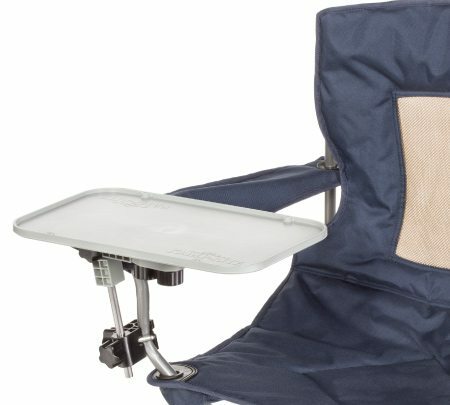 The roll-out aluminum tabletop includes a detachable windshield for use with a camp stove. 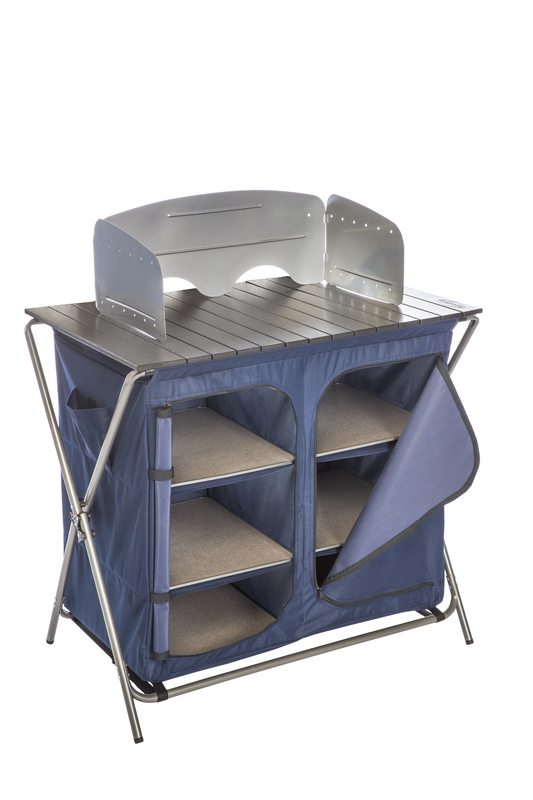 The pantry is divided into two zippered storage sections, each with 3 shelves, along with 2 outside storage pockets for easy access to cooking utensils. The entire unit sets up in seconds and folds down compactly to fit in the included Carry Bag.